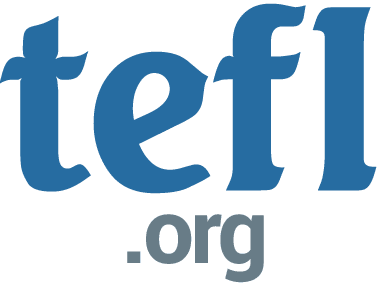 Blog » What is TEFL, TESOL, TESL, CELTA & DELTA? So, you’ve decided that you want to teach English to non-native speakers? Great! Whether it’s teaching English abroad during a gap year, something rewarding to keep you busy in retirement or you’re simply in need of a career change, TEFL’s a great choice. But maybe you’ve started looking into how to get TEFL certified and you’ve found yourself a bit confused. There are all these different acronyms! 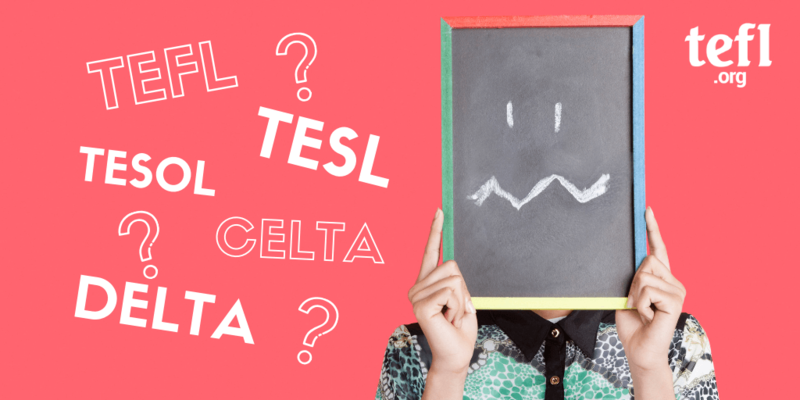 TEFL, TESOL, TESL, CELTA, DELTA… it can be a bit overwhelming. What’s the difference between them all? Don’t worry, though, we’re here to talk you through the differences and help you get clued up before signing up for a course. All these acronyms refer to courses focused on teaching English, but the methodologies and ways you get qualified can vary greatly. TEFL courses (Teaching English as a Foreign Language) are what we here at TEFL Org provide. TEFL certificates can be used anywhere in the world to teach English to non-English speakers. The great thing about TEFL is that all you need to get qualified is a native-level ability of English! These courses are typically completed largely online with the top providers offering regular short classroom courses. This means you can fit in studying towards your TEFL qualification around your existing schedule as courses are typically flexible and self-paced. TEFL courses are measured in hours, so you’ll see most courses listed by the number of hours they take to complete. You’ll also see some courses described as ‘Level 5‘, which means the course has been accredited by Ofqual and is English government regulated. Most employers look for teachers to have a 120-hour TEFL qualification, so it’s a good idea to take a course with at least these hours. TESOL courses (Teaching English to Speakers of Other Languages) are very similar to TEFL courses and the acronyms are frequently used to mean the same thing. TEFL is the acronym mainly used in the UK while TESOL is is more often used in Australia or the USA. It can also be used specifically to refer to the teaching of immigrants or refugees who come to a native English country. Their needs are very different from a TEFL learner; a TEFL learner will only hear English in their classroom whilst a TESOL learner will be hearing English all around them as they learn to live in their new country. This means ‘Teaching English as a Second Language’. TESL teachers predominantly work teaching English to either immigrants – like TESOL teachers – or teaching to people living in a country where many languages are used and English is one of the main ones. It can also be referred to sometimes as Teaching English as an Additional Language (TEAL), just to throw another acronym into the midst. CELTA stands for Certificate in Teaching English to Speakers of Other Languages. This is a qualification provided by the University of Cambridge Local Examinations Syndicate (UCLES) and it’s highly regarded by employers. The courses run for four to five weeks if you choose to undertake it full-time but it can (depending on location) be available part-time as well. They are very intensive and, at anywhere between three and five times the cost of a TEFL course, quite expensive. To apply for one, you’ll need some form of formal English qualification, unlike TEFL where all you need is a native-level ability to speak English. Delta is the Diploma in Teaching English to Speakers of Other Languages and is an advanced TEFL qualification. It can only be taken by qualified English teachers with a few years teaching experience who are looking to advance their qualifications. It is similar to the CELTA qualification in that it is completed as part of an intensive course undertaken with a number of weeks. It is also granted by the UCLES, like CELTA. Which one should I take? Unfortunately, there is no easy answer to this question. It depends on what you want to do and what you require for your course. Do you want an intensive course that will take a few weeks of studying full-time? Consider a CELTA course. If you need more flexibility around a job or other aspects of your life, consider a TEFL or TESOL course. All courses will give you the high qualifications and training needed to be a good English teacher and a highly accredited course like the ones provided by TEFL Org will put you in good standing with potential employers. We train thousands of teachers every year who have used their TEFL qualification to find work teaching abroad, online and at home! For more information on CELTA courses, visit the Cambridge English website. If you would rather take a TEFL course, look at course options to become TEFL-qualified!